Sorry for the bad photography, but I am just going with it. If it's not one thing, it's another lately! LOL Anyway, I used something new coming at the end of this month! It's an exclusive Embossing Folder that you can only get FREE with any $50 purchase starting January 28th. Do you love those uneven polka dots as much as me? I also used the Fresh Prints DSP stack (#132996/ $6.95) which is in Real Red, Costal Cabana and Crumb Cake. You will love the 12 double-sided designs that come in the stack! 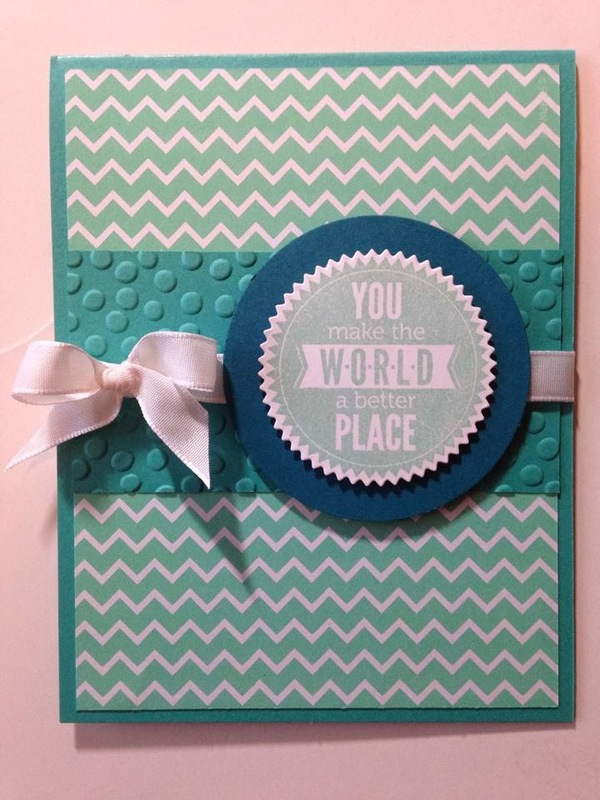 Check out the new stamp set I used called Starburst Sayings with the matching framelits. You can get the stamp set and framelits in a bundle for 15% off using #134818 for $38.95 (clear mount). Are you wondering what colors I used? Costal Cabana, Island Indigo and Pool Party (just the ink) make up the great monochromatic color scheme of my card. 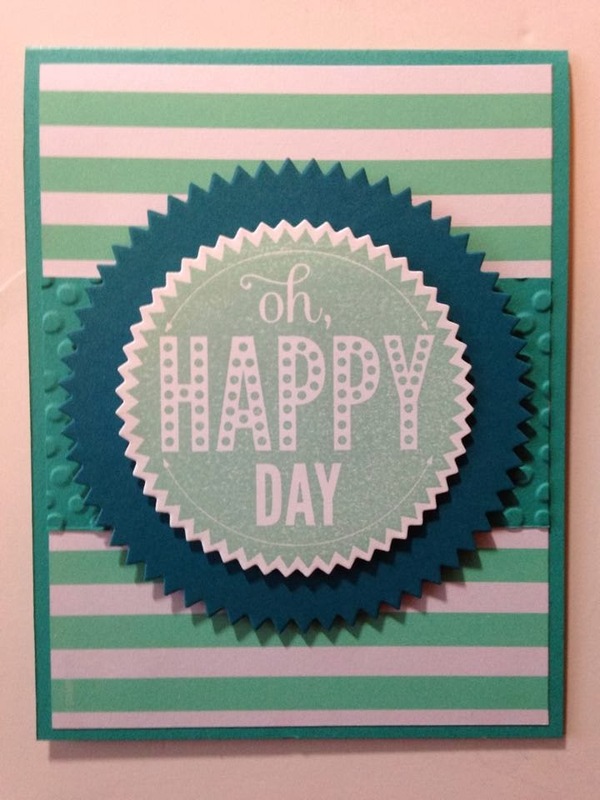 I will see you back here tomorrow for more new items from the Occasions Catalog! I love both of your cards today! SO CUTE! Color and stamp set = my favorite!